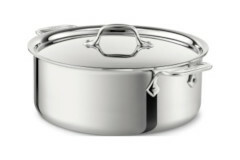 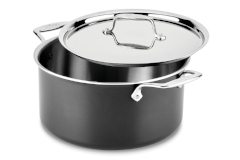 All-Clad Stock Pots are available in several of the cookware collections and in sizes ranging from 4 quart to 12 quart. 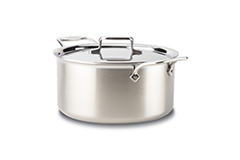 Every kitchen needs at least one for those large batches of soups, stews, chili, dumplings and stock. 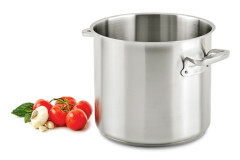 The taller Stock Pots help slow evaporation to ensure rich flavors. 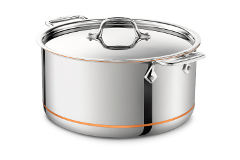 They are oven safe and able to cook on all cook-tops.